The Mayor of Ottawa, Jim Watson opened the event. Get ready to put the Sparks back in Sparks Street! 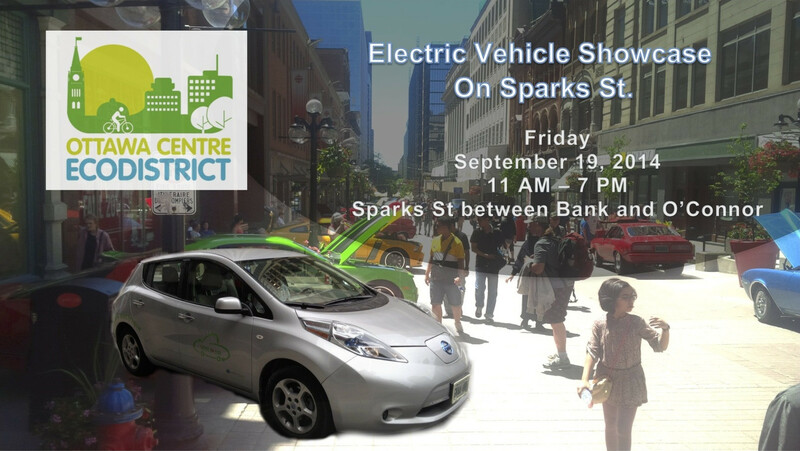 The Ottawa Centre EcoDistrict and our partners are going to turn up the voltage on Sparks St. by showcasing electric vehicles and offering test drives to a charged-up public who cares about a sustainable future for transportation. At this FREE event, you won’t only get to see, but also FEEL the power of a range of different electric vehicles! Our objective is to promote electric vehicles in line with WWF Canada’s goal of having 600,000 EVs on Canada’s roads by 2020. Plug ‘N Drive Ontario will be on site to facilitate EV test drives. We will also have EV owners and EV dealers to explain the convenience of driving an EV everyday and the great offers available to purchase them. 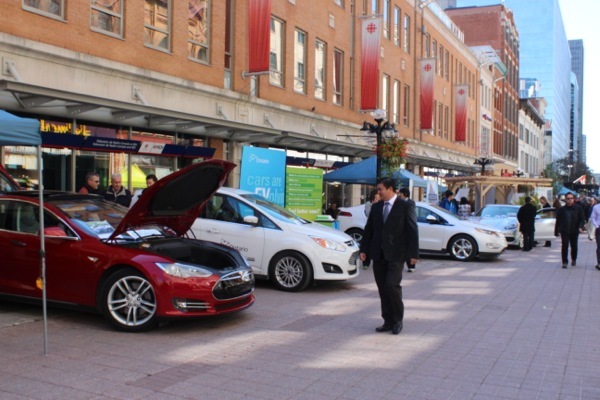 Bringing your EV to Sparks St.? Please enter Sparks street from O'Connor Street. Just put on your hazard lights and you will be escorted to a designated parking spot on Sparks Street Mall. When leaving, please drive carefully along Sparks Street to exit onto Bank Street. From the Ottawa area? Complete our EV Survey for a chance to win a 1 year membership to VRTUCAR car-share! This event is hosted by the Ottawa Centre EcoDistrict, a not-for-profit organization that links sustainability with economic development to reduce environmental impact, attract business and create socially vibrant spaces in Ottawa’s downtown core. Visit our website for more information on EVs. There are currently 67 attendees registered. Registered attendees report 469,877 electric miles driven.